When you start scaling your IoT initiative, things can get messy from all the testing. If you want to delete some of the information from your dashboard, follow the below steps. From any Device you can easily clear all gathered data without having to recreate the device. To clear all data from a Device, simply open the device you need to reset and click the "compass" icon located in the main control bar to remove any recorded data. From any Variable you can easily clear all gathered data without having to recreate the variable. To clear data from a Variable, simply open the Variable you need to reset and click the "compass" icon located in the main control bar to remove any recorded data. 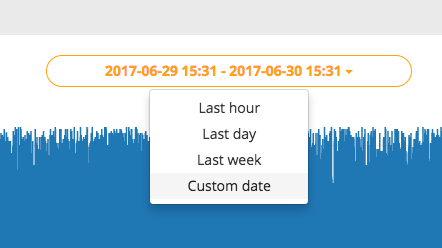 If you wish to erase one or a few individual data readings, scroll down in your Variable's data and click the "trashcan" icon to remove any individual data points. Note: this feature is only available for Ubidots users. Ubidots for Education users can only delete the latest 500 readings for each period of time chosen. 1) Select the Device and underlying Variable you're working with. Then, from the top-center of the display, select the time frame you'd like to erase. For additional details to how you can delete a range of data using Ubidots API calls, please reference the attached link. 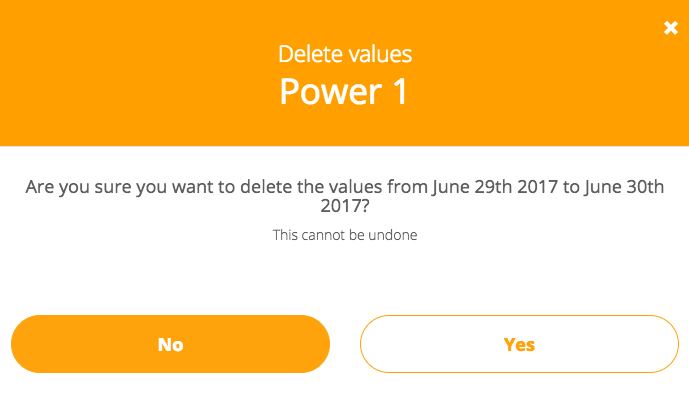 How can I delete a range of data points?